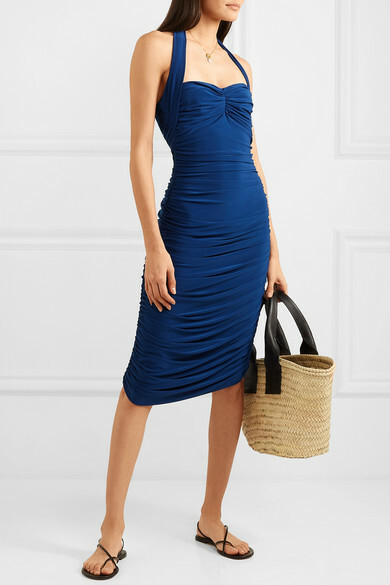 Norma Kamali always carefully considers how her designs look once they're on – the '50s-inspired ruching through this 'Bill' dress defines and accentuates the hourglass silhouette. 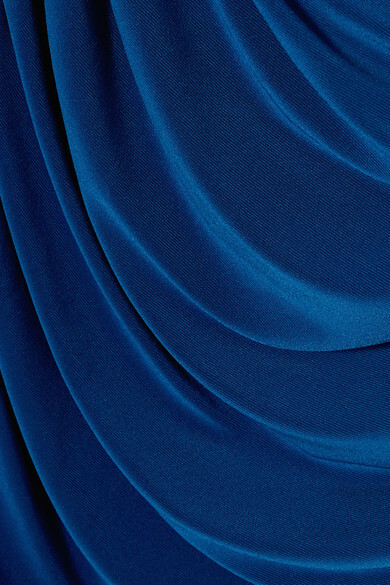 Cut from stretch-jersey in a cobalt hue, it has a halterneck and pretty sweetheart neckline. 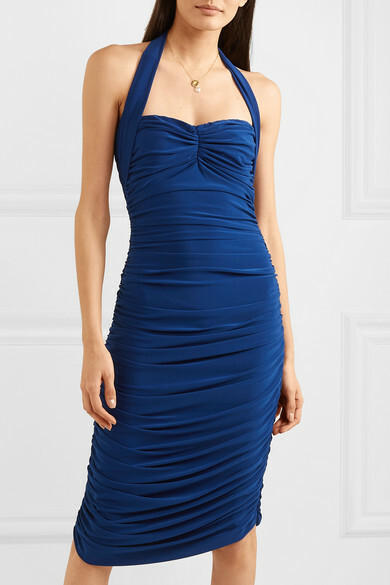 Wear it with your favorite strappy sandals while on vacation.